The jerseys will have the logo added in time for the April 13 match. 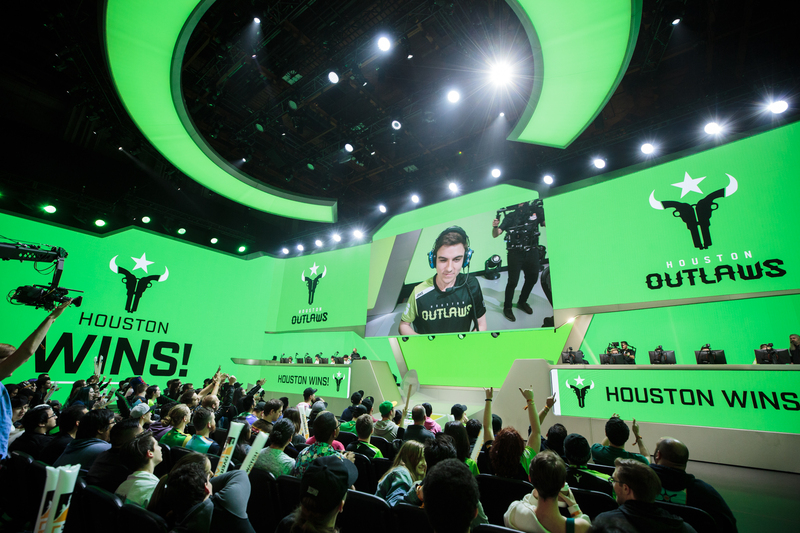 The Houston Outlaws’ latest sponsor is a little more close to home than the others behind OpTic Gaming’s Overwatch League team. Today, the team announced a new partnership with H-E-B, a food store chain based in Texas. H-E-B will have logos fashioned on the Houston Outlaws’ home and away jerseys. “This partnership marks Houston Outlaws’ first partner branding integration on the sleeves of their uniform,” the Outlaws’ announcement reads. These new jerseys will debut in time for the Houston Outlaws’ match on April 13. Besides the new logo on the jerseys, the partnership will provide additional benefits for the team. From now on, H-E-B will serve as “the official Food Delivery partner” for watch parties or other community events. Additionally, certain Houston Outlaws players will make public appearances at H-E-B stores throughout the year. The food store chain is also creating Houston Outlaws themed reusable grocery bags, which will be available at the stores in Houston, Austin, and San Antonio. Ryan Musselman, the president of Infinite Esports and Entertainment, said the partnership is aimed to help the Outlaws continue to compete at the highest possible level. “Through H-E-B, we can ensure our players have the proper food and nourishment they need to continue competing at the professional level,” Musselman said. H-E-B is comprised of 400 stories located in Texas and Mexico. The chain has been in operation since 1905 and employs over 100,000 people. Fans will have a chance to see the official H-E-B logo on the Outlaws’ jerseys for the first time on April 13 when they take on the Vancouver Titans.